The Natural Health Certificate is a 2-year (4-semester) program that provides students with an overview of many natural health disciplines. The program can be taken as an independent certificate or can be an entry program into another school or program at PRC. Elective requirements may be satisfied by successful completion of any curriculum course offered in the School of Western Herbal Medicine, School of Acupuncture and Oriental Medicine and School of Holistic Nutrition. Certain Continuing Education courses may also count as elective credits. Both part-time and full-time study options are available to students. Below is a list of all courses that must be completed for a student to be eligible for graduation with a Natural Health Certificate. Some course prerequisites do exist, and it is the responsibility of students to ensure that they are eligible to enrol in any particular course. The Course Descriptions page indicates course prerequisites. Please see Study Options below for more information on course selection. 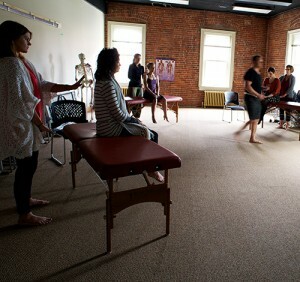 The School of Integrative Health offers year-round educational opportunities with an academic calendar based on 3 semesters per year. New students may enrol every January, May and September and students may either choose to pursue year-round studies or to take a semester or more off at their discretion. By choosing their course load each semester, students may complete any semester on a part-time or a full-time basis. Students who wish not to enrol in any program are also eligible to take individual courses for personal enrichment provided that applicable course prerequisites have been met. Please see Non-Matriculating Students below for more information. Graduates of the Natural Health Certificate are versed in a variety of indigenous and holistic modalities and philosophies. They can seek employment in the health and wellness retail sectors, offer community-based wellness consultations, produce natural health products and matriculate into a diploma program at PRC. Credits will transfer directly into a diploma program within the School of Acupuncture and Oriental Medicine, the Diploma of Phytotherapy and the Diploma of Holistic Nutrition. Admission into the Natural Health Certificate at Pacific Rim College is on a competitive basis. Entering students must have a high school diploma or an equivalency test, or adequate post-secondary coursework, and all non-native English speaking applicants must demonstrate a mastery of written and spoken English. Any foreign applicant may be required to submit an official score report from an English proficiency exam such as TOEFL (Test of English as a Foreign Language) or IELTS (International English Language Test System). Pacific Rim College is determined to produce only the highest quality health practitioners. As a result, we reserve the right to admit and to retain only students who demonstrate the potential to achieve at the upper-most level. Applicants will be evaluated based on merits such as high academic achievement, emotional maturity, humanitarian activities, morality, community involvement and health-related experience. To apply for admission into the Natural Health Certificate, please click on the link below. Upon favourable review of your application by our admissions committee, you may be contacted for an interview, which can be carried out via telephone if a person-to-person interview is not possible. All successful applicants must submit a non-refundable enrolment deposit of $200, which is credited toward tuition fees. Should a student decide not to enrol for the specific semester of study as stated in the application form, the fee is forfeited and cannot be used to offset any charges that the student may incur. All accepted applicants must submit this deposit within 14 days of the date of acceptance if accepted more than 60 days prior to the semester start date, or within 7 days of the date of acceptance if accepted 60 days or fewer prior to the semester start date. Official date of acceptance is the date indicated on the applicant’s acceptance letter. Enrolment space will not be reserved without this deposit. 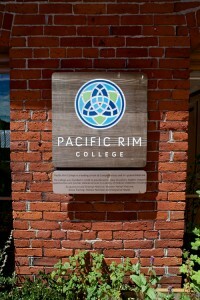 International students are welcome to attend Pacific Rim College and are encouraged to apply. Canadian law requires foreign students to have a valid study permit to study in Canada. Pacific Rim College provides international students with the necessary documentation to receive a valid study permit. In some cases students can apply for and obtain a permit upon entering Canada. New changes to the International Student Program, effective June 1, 2014, allow full-time international students enrolled at designated institutions in certain programs to work part-time off campus and full-time during scheduled school breaks without a work permit. According to regulations, international students are 1) eligible to work off campus without a work permit; 2) allowed to work off campus for up to 20 hours per week during a regular academic session and full-time during regularly scheduled breaks; and 3) able to work off campus immediately rather than waiting 6 months. Please visit the Government of Canada website for more information. Students who wish to take courses at PRC without enrolling in any particular program are welcome to do so as non-matriculating students. Provided that a student has satisfied course prerequisites, he or she is eligible to enrol in virtually any diploma program course. Enrolment priority is given to program students, and full course tuition is due at time of course registration. Any student who has previously been denied admission into any program at PRC or has had an enrolment position revoked must receive written permission from PRC Administration before enrolling as a non-matriculating student. PRC reserves the right to academically dismiss any non-matriculating student who knowingly or blatantly interferes with the learning of program students. Please click on the link below to see a current selection of courses and for registration info. Please click below for the current and upcoming (when available) course schedules for the Natural Health Certificate. Tuition is based on a per credit system. Although the college provides a template for course completion within each program, ultimately each student determines his or her course load and schedule and thus per semester tuition. Audited credits do not apply towards graduation requirements. All prices listed are in Canadian dollars. For each semester, full tuition payment is due on the first day of class. **Discount Audit tuition is available to current program students and diploma alumni. Current program students must maintain the equivalent registration of 9 semester credits to be eligible and pay the regular rate should registration drop below that threshold. Discounted audit rate is not available for courses for which there is a waitlist, weekend workshops, or CPR and First Aid. Diploma alumni no longer enrolled in a program are required to pay all applicable tuition at the time of course registration. Please click here for a description of Academic Fees in PDF format. This program is approved for Canada Student Loans. British Columbia residents can apply for student loans online through StudentAid BC. Students can also pick up a paper application from PRC or any other academic institution registered with Canada Student Loans. For non-British Columbia residents, please visit hrsdc.gc.ca for information about Canada Student Loans. For a list of all financial aid programs available to PRC students, please visit our Financial Aid page.